Many gardeners enjoy growing and eating tomatoes (Lycopersicon esculentum). However, tomato plants are susceptible to many viruses. Viruses can infect tomato plants in the nursery or after they are planted. The most common viruses affecting tomatoes are the tobacco mosaic virus and the tomato spotted leaf virus. Luckily, there are virus -resistant tomato plant varieties available, but there are no tomato varieties that are resistant to all the viruses. BHN 444 is a tomato variety also sold under the name Southern Star. It is resistant to the tomato spotted wilt virus, but not the tobacco mosaic virus. It produces large, uniform tomatoes. HMX 0800 is most often sold under the name Amelia or Amelia Hybrid VR. It is resistant to the tomato spotted wilt virus and well as fusarium wilt and nematodes. It produces larger fruit than other virus-resistant varieties and the fruit is considered good tasting. The plant also produces a good canopy of leaf cover to protect fruit from sun scald. The BHN 555 tomato variety is resistant to the tomato spotted wilt virus. It produces medium to large-sized tomatoes of good eating quality. Celebrity is one of the most widely grown tomato varieties. It is resistant to the tobacco mosaic virus as well as nematodes and verticillium wilt. Celebrity tomatoes produce large- to medium-size tomatoes with excellent taste. The plant is a heavy producer, and because it is considered a bush type of determinate variety, it does not grow as large as many other tomato plants. However, it only sets fruit over a four to six week period in late spring. Big Beef is a popular variety of tomato because of its resistance to the tobacco mosaic virus and its ability to produce large uniform tomatoes of good eating quality. Big Beef produces excellent quality tomatoes on a large plant over a long period during the growing season. It is considered an indeterminate or vining type tomato plant because of its potential to grow up to 6 feet or more. 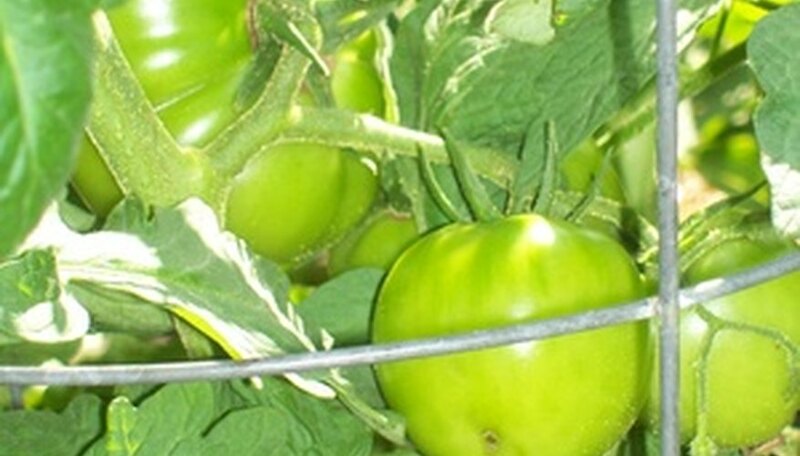 The Big Beef tomato needs staking to keep its large fruit from touching the ground. The Early Girl tomato variety gets its name because it produces tomatoes in as few as 55 days. This is a good tomato plant to grow in areas where the weather heats up fast in the spring. Early Girl is resistant to the tobacco mosaic virus as well as nematodes. The tomatoes are medium-sized with good eating quality. Early Girl produces tomatoes on smaller plants than the large indeterminate types, so it is a good variety to grow in container gardens.